He gets a tingle in his neck. But meanwhile, CNN once again showed where its priorities were. 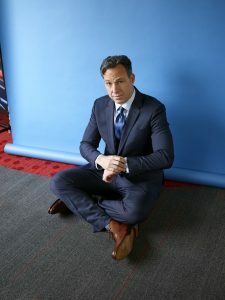 As news broke that the driver was shouting “Allahu Akbar” as he attacked these people, Jake Tapper wanted to remind his audience that “The Arabic chant ‘Allahu Akbar,’ God is great… sometimes said under the most beautiful of circumstances, and too often we hear it being said in moments like this.” Sure, he did finish the sentence by talking about how we have heard this chant in moments of horror, but why even say the first part? Liberals like him always think they have to remind people that there are Muslims who are good — that ‘Allahu Akbar’ can be beautiful. This piece of commentary was unnecessary and insulting during such a time of crisis.